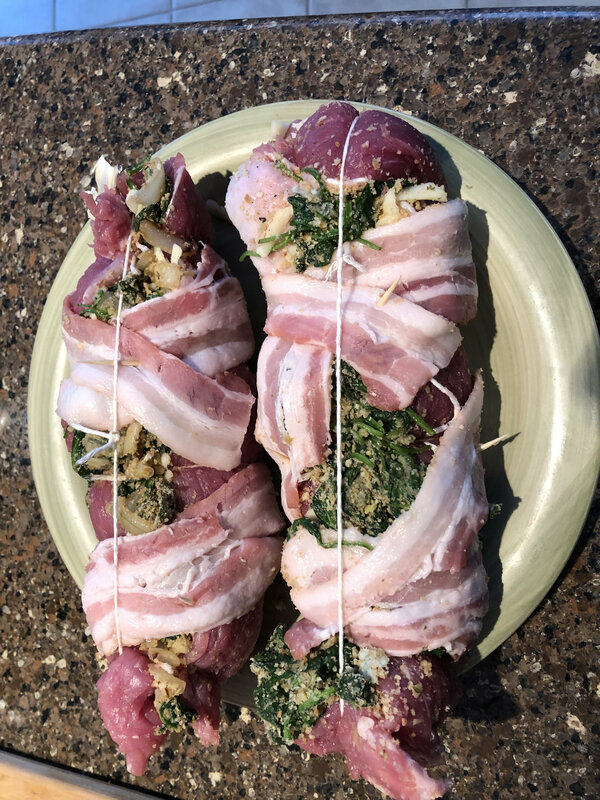 Last night's meal was pork tenderloin stuffed with Italian blend shredded cheese, bread crumbs, onion, garlic and spinach wrapped in bacon. I got the recipe from you fine folks. I cooked it at 375 raised direct for 1 hours and 15 minutes until it hit 140 degrees. A couple of before and after pics.....sorry no plated pictures. Served with broccoli, potato wedges and garlic bread. Weber Genesis CP310; Weber Q1200 (camping); LBGE. "If you haven't heard a rumour by 8:30 am - start one"
Mouth watering good from here! Looks awesome... How did you like the results? Charlotte, NC - Large BGE 2014, Maverick ET 733, Thermopen, Nest, Platesetter, Woo2 and Extender w/Grid, Kick Ash Basket, Pizza Stone, SS Smokeware Cap, Blackstone 36"
I liked it. 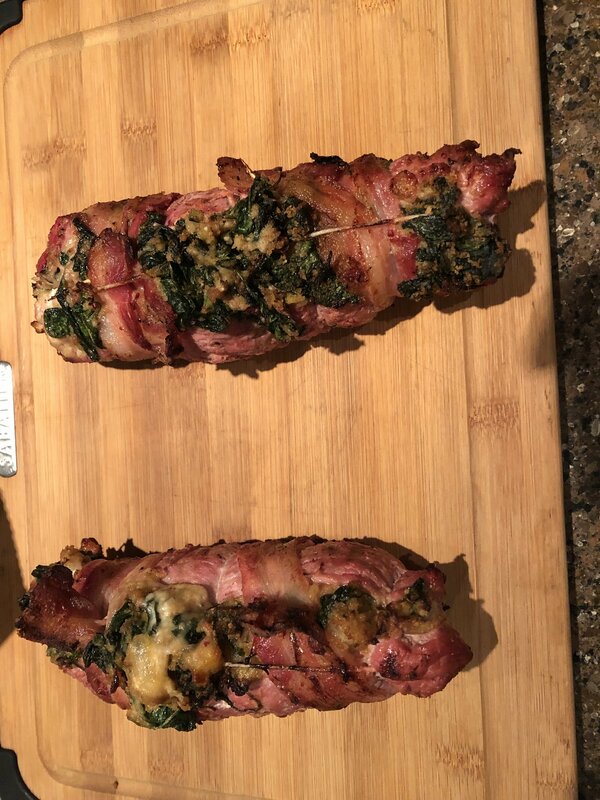 A nice change from straight grilled tenderloin.